The Tacoma Studio Tours happened on a rainy, windy weekend but I was determined to go to at least some of them. 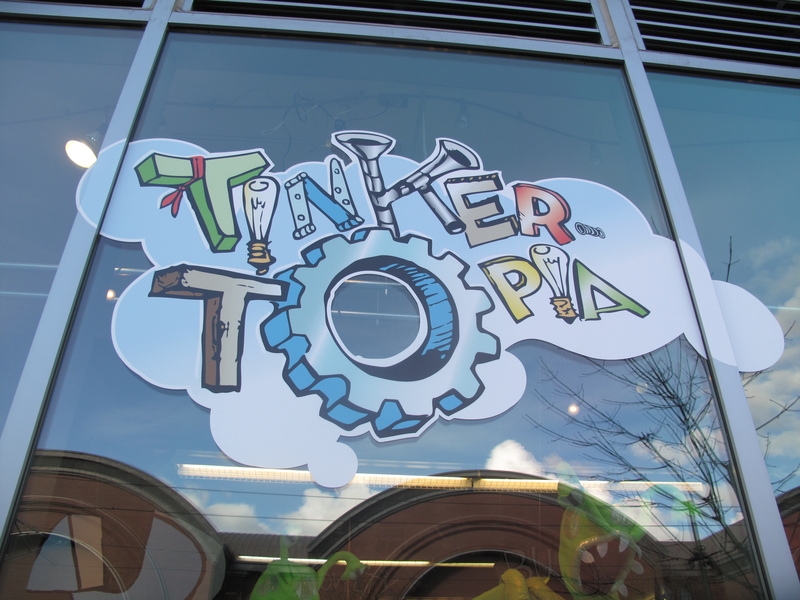 Tinkertopia at 1914 Pacific Avenue is really delightful and it would be easy to spend a great deal of time here, but not a great deal of money since everything is so reasonably priced. To get a sense of the place, check out the photos below and the website which has plenty of links to articles and a free mini poster! Tinkertopia is a Spaceworks Project and when their Spaceworks funding expires they will be able to continue with the generous support of University of Washington, Tacoma. This entry was posted in Art -- there is art here!, Stores and other places that sell you things, Tacoma, Unique Shopping (stores with some personality), WA State - Pierce County and tagged alternate, art, art supplies, craft, crafts, creative, Pacific Avenue, recycle, reuse, Tacoma, tinker, tinkering, Tinkertopia, University of Washington on November 7, 2013 by admin.